The escalating running costs of a building today has more than ever, necessitated that the systems installed are operating at optimum performance to minimise the level of costly energy consumption. Poorly maintained or neglected plant not only has a reduced life span but also has higher running costs for the building operator. Buildings with well maintained systems provide better living experience for the occupants by generally meeting the desired environmental conditions through efficient plant performance and can also, often avoid premature plant replacement and higher than necessary running costs. Through the utilisation of over 30 years experience and expertise, we can provide your plant service and maintenance requirements to ensure that this particular type of essential equipment in your building is performing as originally designed. 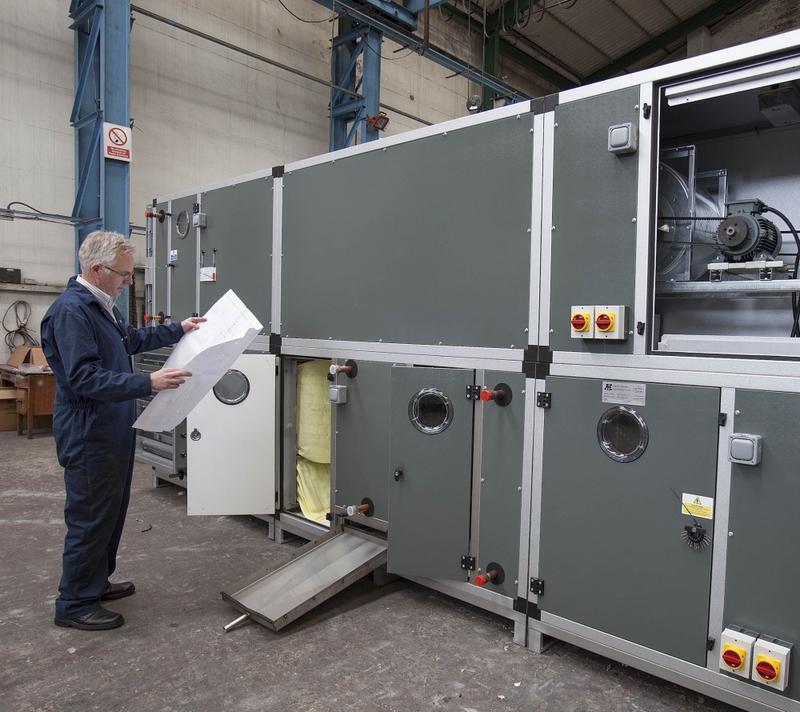 With our comprehensive factory facilities and sophisticated computerised technology we are not just able to carryout maintenance but also to refurbish or rebuild worn out component sections, renovate complete units, upgrade or modify fan performance or replace your complete existing air handling units, as required. To start the process, simply ring our sales department to arrange for an engineer to call and carryout an inspection.